Coming from Irish roots, St Patrick’s Day has always been a day of fun, festivities, and parades. To top it off, my sister and great-grandfather were both born on March 17th. And being a March born baby as well, our childhood celebrations revolved around this Irish holiday with green birthday cakes covered in shamrocks. 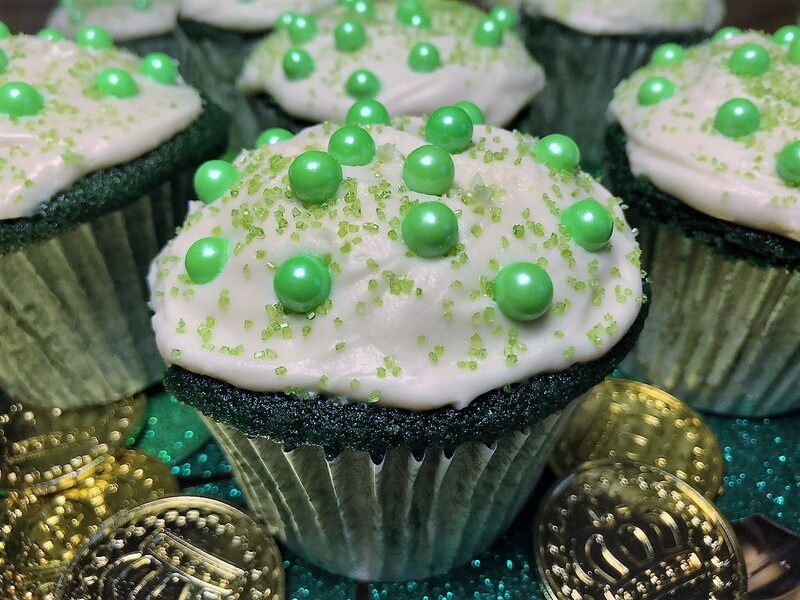 In honor of St. Patrick, St. Paddy’s Day parades, and my Patterson heritage, I share my favorite St. Patrick’s Day cupcakes. To set the record straight, the recipe is the same as my Red Velvet Cake. Mama just changed the red food color to green. 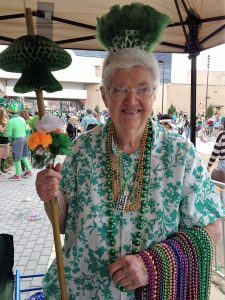 On a side note, Mama did love the St. Paddy’s Day Parade in Jackson, Ms. She was a great sport and always got the most kisses, beads, and flowers. Cupcakes: Cream butter, oil, and sugar well. Add eggs and vanilla and beat until smooth. Sift together flour, soda, salt, and cocoa. Add vinegar to milk. Staggering flour and milk, blend into butter, sugar, and egg mixture. Add green food coloring and beat well. Place 12 cupcake liners in muffin tins. Spoon batter evenly between liners. Bake @350 degrees for 15-20 minutes or until a toothpick comes out almost clean. Do not overcook or cake will be dry.